Black paintings have been produced by a number of artists – Kasimir Malevich, Alexander Rodchenko, Ad Reinhardt, Pierre Soulages, Robert Rauschenberg and Mel Ramsden, to name a few. While superficially similar in appearance, these dark, monochromatic works reflect the differing concerns, sensibilities and preoccupations of both the artist and era. In general they result from two main approaches: the first concerns the literal side of the painting (its flatness, lack of colour, surface and texture, or lack of, and ‘objectness’) to deny the illusionism inherent in previous art; the second, in contrast, opens the work up to illusion and otherworldly spaces – infinity and the void. This division sums up the essential differences between Bob Law’s paintings and the work of a number of American minimal artists made at this time, for example by Robert Ryman, Robert Mangold, David Novros or Brice Marden, to which they had been compared. The credo of the American minimalists might almost be précised in the phrase attributed to New York painter Frank Stella, ‘What you see is what you see’.  ‘Blue black indigo black’ is from Law’s best known and most important series of black paintings made in the 1970s.2 When displayed together, it is evident that none of these paintings are black. Rather they are subtle variations on darkness, each with an individual velvety tone and a sensuous, underlying hue.  Each work is painted or stained in discrete layers so that the title might almost be read as a recipe – ‘No 62 (black/blue/violet/blue)’ 1967 (Tate Gallery, London), ‘No 88 Black black blue violet’ 1974 (Stedelijk Museum, Amsterdam) or this work ‘Blue black indigo black’ 1977. The foundation colours are apparent as atmosphere rather than discrete hues and give an illusion of depth, encouraging meditation and reflection. Anthony Bond, Bob Law , 'Recalling Bob Law', pg.218-224, London, 2009, 131 (colour illus. ), 137 (colour illus. ), 220. Michael Desmond, Contemporary: Art Gallery of New South Wales Contemporary Collection , 'Abstraction', pg.16-59, Sydney, 2006, 42, 43 (colour illus. ).